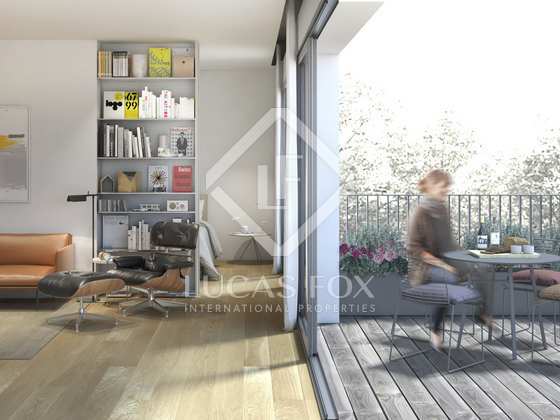 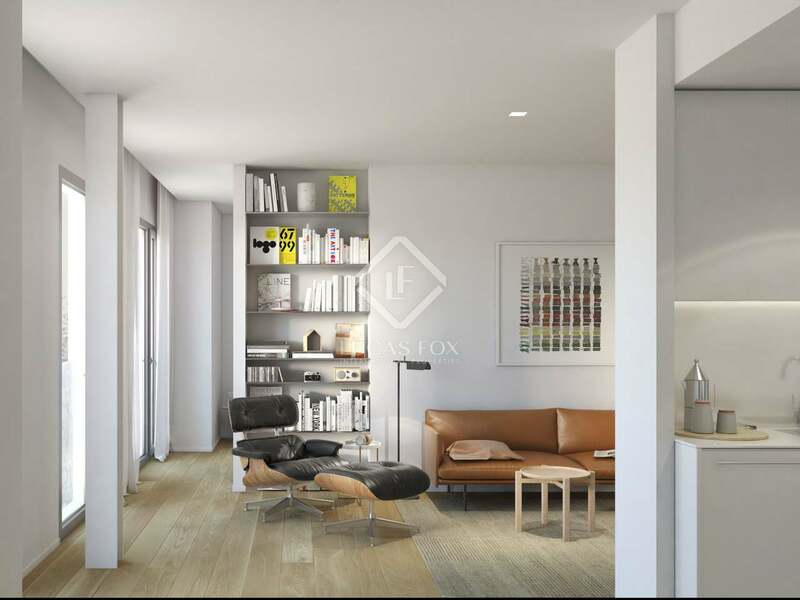 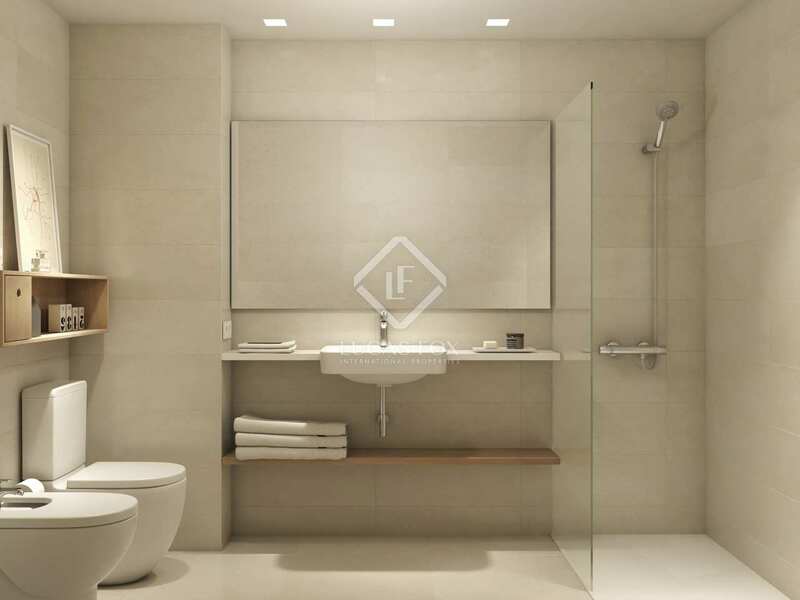 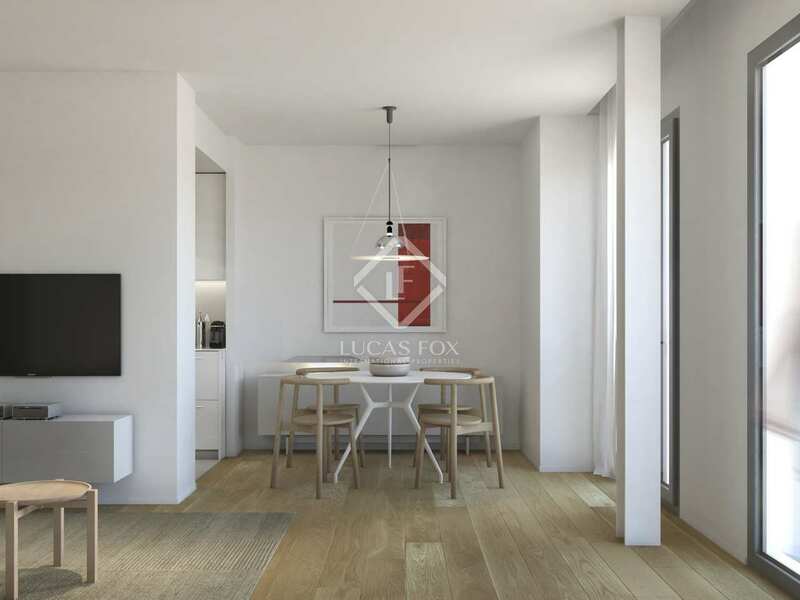 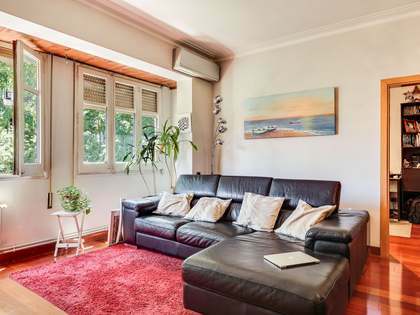 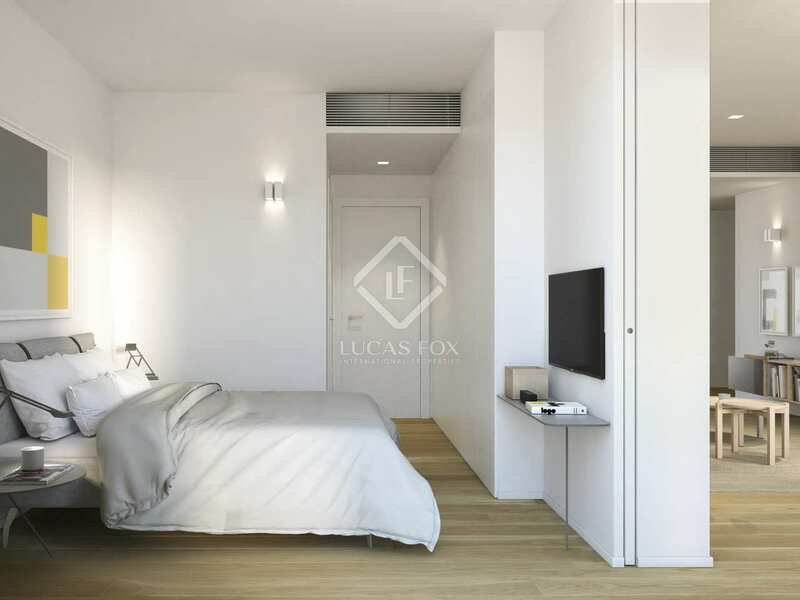 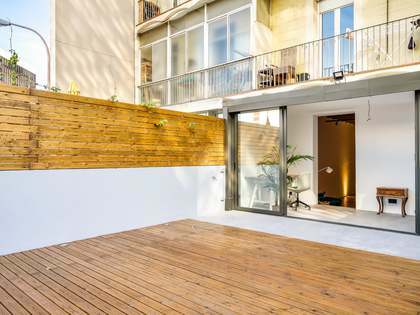 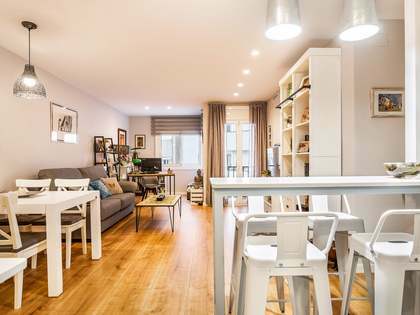 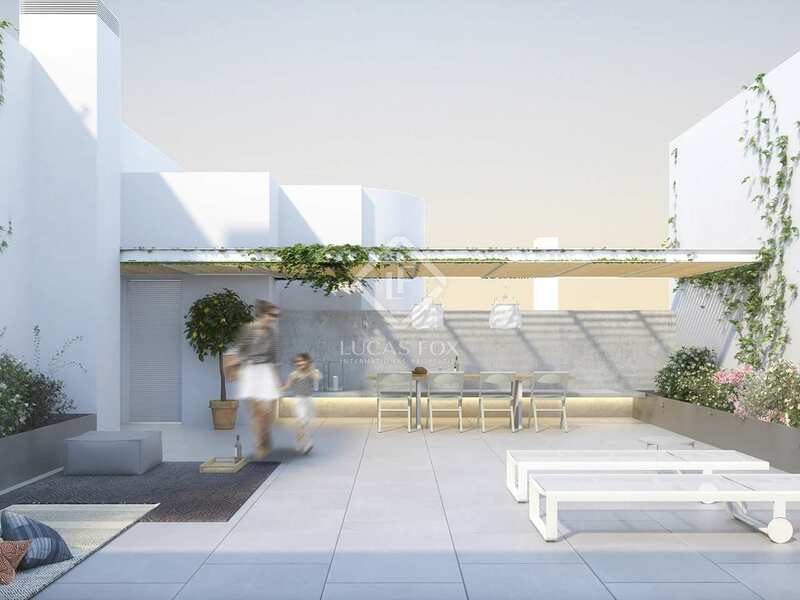 Beautifully renovated 3-bedroom apartment for sale in the heart of Eixample Left, Barcelona. 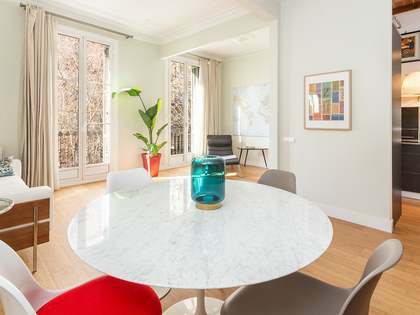 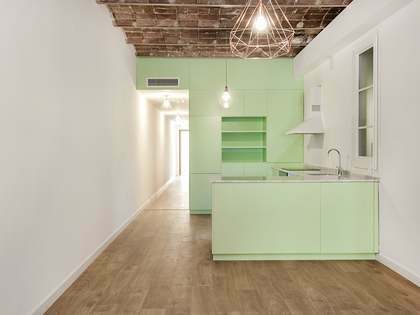 This beautifully renovated apartment is part of a stunning new development in Barcelona's coveted Eixample Left. 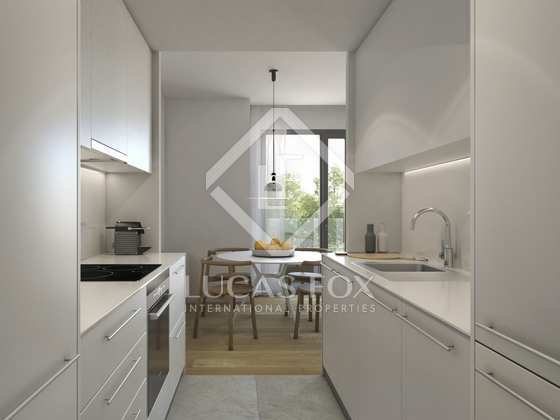 The renovated building offers modern city centre homes renovated using quality materials and boasts elegant finishes throughout. 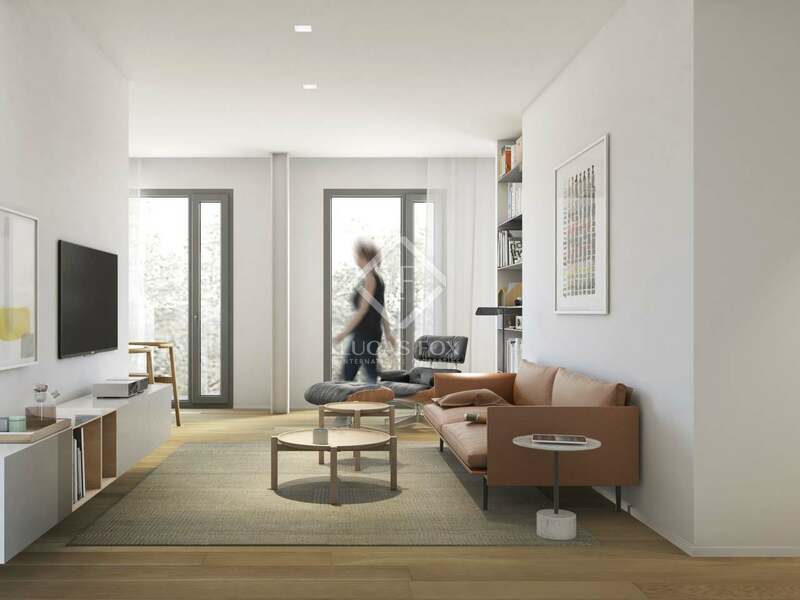 Each apartment showcases timeless aesthetics based on a neutral colour scheme and natural light whilst sliding partitions allow for flexibility in the use of the various spaces.